Meeting Minutes – November 2014 | F.F.A.M. 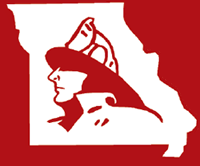 President Kenneth Hoover called the meeting of the Board of Directors of the Fire Fighters Association of Missouri to order at 9:00 a.m. Sunday, October 5, 2014 at the State Fair Fire Department in Sedalia, Missouri. President Kenneth Hoover, Little Dixie FPD; First Vice President Tim Bean, West Plains FD; Second Vice President Charlie Neubert, Highlandville Rural FPD; Secretary Treasurer Jaime Miller, Johnson County FPD; Sergeant-at-Arms Rex Reynolds, Southern FPD of Holt County. District 2, Greg Wright, Shelbina FD; District 3, Larry Jones, Madison West Monroe FPD; District 4, Joe Vaughn, Pleasant Hill FPD; District 6, Richard Gordon, Cole County FPD; District 7, RB Brown, Eureka FD. District 1, Janet Cain, Braymer FR; District 3, Rob Erdle, Little Dixie FPD; District 6, Gary Berendzen, Cole County FPD; District 9, Kurt Wilbanks, West Plains FPD; District 10, Greg Brown, Eureka FPD; District 11, Roger Meyers, Concordia FPD; District 14, Glenn Dittmar, South Central Buchanan County FD. Past President Keith Smith, Warrenton FPD; David Hedrick, Gail Hagans, MU FRTI; Larry Eggen, Johnson County FPD; Donald Vaucher, Harriett Vaucher, Eureka FPD; Grant Oetting, Higginsville F&R; Cy Fields, Paris Rural FPD; Holden Peel, Norborne FPD; Jeff Dorhauer, Osage Beach FPD; Mark Amsinger, Lake Ozark FPD; Dr. Ron Baker, Fire Fighters Historical Preservation Center. President Hoover asked for corrections or additions to the August 3, 2014 meeting minutes. No corrections were made. Charlie Neubert moved to accept the minutes as presented. Roger Meyers seconded the motion and all approved. President Hoover asked for a review of the July-Sept 2014 financial reports. Greg Wright moved to accept the financial reports as presented. RB Brown seconded the motion and all approved. David Hedrick with MU FRTI reported that 248 classes have been completed so far for the upcoming fiscal year with more than 1,500 students in attendance. The 2014 Instructor Conference will be held October 24-26 at Lake of the Ozarks. There is still space available. Firemans Fund Insurance made a donation to provide funding for classes. Dean Martin has resigned from MU FRTI. There is now a Curriculum Specialist position open. Dr. Ron Baker with the Fire Fighters Historical Preservation Center reported that Silver Dollar City (SDC) is adding a new Fireman’s Landing exhibit to open in the spring of 2015. SDC is looking at ways to promote the new exhibit and would like to partner with FFAM to welcome members and their families to the grand opening. Discussion followed regarding fundraising opportunities for the memorial/museum combined with the SDC grand opening. Baker reported that he is looking into several grant opportunities available for the museum/memorial. He is also working with Texas Roadhouse on a fundraising opportunity. He will be attending a fire museum network seminar in November to learn about other fundraising ideas. The Missouri state employee charitable campaign began in September. He was able to pass out more than 500 pamphlets for the museum project. President Hoover reported that the FFAM had been contacted by Eastern Douglas County Volunteer Fire Department regarding a sunshine law issue that they are involved in. The FFAM is working on gathering information from the Attorney General’s office before taking any position on the issue. President Hoover reported that he had been contacted by Darlene Jacobs of the Mesothelioma Lawyers Group. The group would like to put a link on our website to theirs and in return would donate $40 to FFAM. Discussion followed. No motion was made to take action. The matter died for lack of a motion. 1st VP Bean advised that budget requests will need to be submitted to the committee by today. 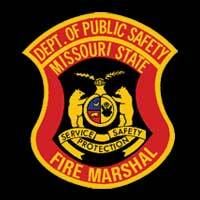 David Hedrick reported that the Southwest Missouri Fire Chaplains meeting is held the third Thursday of every month in Springfield. If anyone is interested in more information, contact Robby at 417-350-0505. Richard Gordon reported he has viewed the contest sight and everything looks good but parking will be limited. Representatives from the Lake Area Emergency Services Association were present. A tentative convention agenda was presented. Chief Amsinger reported the committee is looking into junior activities for each evening. There will also be a stair climb on Sunday after the business meeting. Discussion was held on how to get poster winners to take part in FFAM activities such as the convention or state fair. Anyone with suggestions, contact RB Brown. The topic will be discussed again at the December meeting. Greg Brown reported that the new session starts in January. The additional $200k allocated for training is still being held by the Governor. 2nd VP Neubert reported the following membership counts: 412 Directors/Councilman; 261 Retired; 21 Associate; 14 Sustaining; 14 Corporate, 358 Departments; 7563 Active. Neubert also reported he is meeting with Farmers Insurance regarding possible auto and home discounts for FFAM members. Keith Smith reported that he will contact those up for election next year in December. The report by Keith Smith is attached to the minutes. Grant Oetting reporting he is working with the website committee to make the scholarship applications available to submit online. 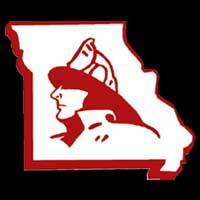 President Hoover reported that the Missouri State Fair Fire Department had lots of new firefighters this year and everything went very well this year. 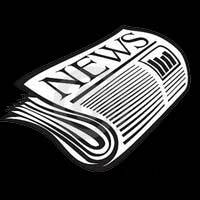 The deadline for the next newsletter is November 1. Gail Hagans encouraged everyone to sell ads in their communities. Ads don’t have to be just for fire service related products. President Hoover reported that Kay Asher is in a rehabilitation facility due to a fall and is recovering well. Keith Smith reported that DVD’s are still available for the May memorial service and can be purchased from him for $15. Thanks went out to everyone who assisted with cleaning up the memorial site. Anyone who has a fire service member death (former or current) in their department or community, please get the info to Keith Smith for the memorial service by April 1. December 31 however, is the cut off for bricks and there is a three-year time limit on deaths that will be honored at the memorial service with the exception of line-of-duty deaths. Those will have no time limit. 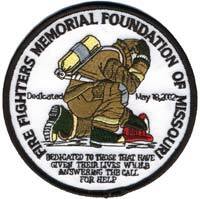 He also reported that the Missouri Fire Service Funeral Assistance Team will have four team members that are escorts at the National Fallen Firefighters Memorial in Emmitsburg, Maryland next week. Charlie Neubert moved to adjourn the meeting. Glenn Dittmar seconded the motion and all approved. President Hoover adjourned the meeting at 10:32 a.m.